475 West Broadway @ Houston St.
Moving South of the Border (south of Houston Street, that is) Dos Caminos SoHo has brought the fiesta downtown, capturing the true spirit of genuine Mexican cuisine. 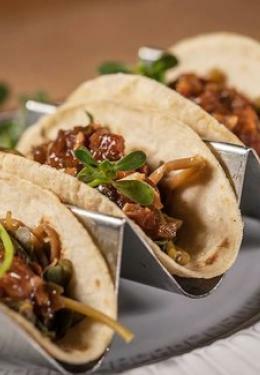 Executive Chef Scott Linquist continues to spice up the New York Mexican scene. From after-work margaritas to a fiesta-friendly lunch, dinner or brunch, Dos Caminos SoHo has also earned a place among the city's top Mexican spots. Let the celebration at Dos Caminos SoHo begin!